Robert C. Long has more than 30 years of experience in public and private law practice advising his business, public, and nonprofit clients on a wide range of legislative, regulatory, and local government matters. 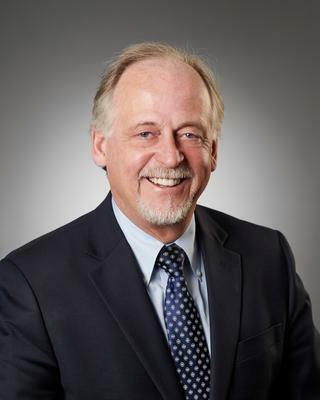 He represents clients before the Minnesota Legislature and state and federal agencies, as well as metropolitan government agencies, cities, counties, townships and school districts. He advises on a wide variety of matters, including government contract procurement, licensing, permitting, regulatory compliance, land use, zoning, and real estate development and financing. Robert also has extensive experience working on solar energy projects at the state and local levels. Robert advises and assists clients in obtaining successful legislative, state and local regulatory, and government contract procurement outcomes that improve their business or result in increased funding for their work. His clients include businesses of all sizes, including several national corporations, trade associations, nonprofits, and local governments. Represented Minnesota solar photovoltaic and solar thermal manufacturers in helping to secure legislative adoption of the “Made in Minnesota” solar incentive program. Assisted several cities in passing special tax increment financing laws to allow multimillion dollar projects to be built in their communities. Worked with many different local governments and nonprofits in obtaining state bond financing for their projects. Led a team of businesses in winning a proposal bid and secured a contract to build a $25.5 million solar and energy efficiency project with the Metropolitan Airports Commission. Represented a major international corporation in securing a contract and leases as part of a multimillion dollar concessions agreement with the Metropolitan Airports Commission. Directed the government relations and legal strategy for numerous businesses and developers in winning proposal bids and securing contacts with state agencies, state universities, cities, counties, and school districts throughout the state. Represented several major developers in obtaining city approvals and financing for significant development projects throughout the Twin Cities, including obtaining tax increment financing approval and other city land use approvals for a $70 million multi-family and commercial project on St. Paul’s riverfront. Advised and assisted a Grand Avenue restaurant in obtaining outdoor sidewalk and patio liquor licenses after the business had previously been unable to do so for seven years due to neighborhood and political opposition. Directed the government relations and legal strategy for a local restaurant franchisee in navigating the city planning and building permitting processes to secure building permits for new construction of a restaurant after more than a year of stalled negotiations with the city. Represented national and local solar developers in identifying sites and obtaining local land use and governmental approvals for several large solar projects. Directed the government relations and legal strategy for several solar developers in successfully obtaining government contracts to build large solar projects and in winning millions of dollars in grant dollars from Xcel Energy to finance those projects. Advised several solar developers in preparing all necessary documents for successful solar projects, including solar tax credit financing documents, leases and power purchase agreements.